Zoe and Mark Philipzen. Photos: Ian Campbell. 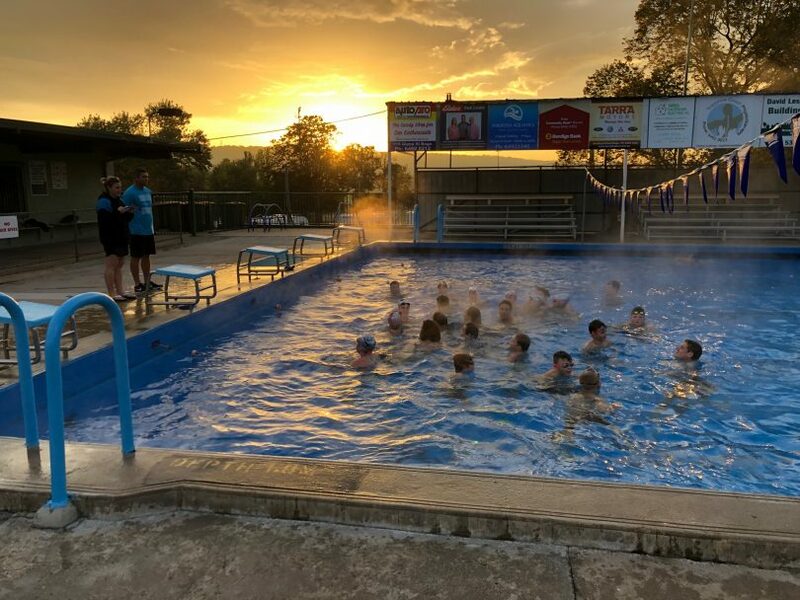 My 13-year-old daughter swum to Cooma this season, her weekly tally of the kilometers done in Bega Pool adds up to over 120 km. My two older boys went even further on the strength of coaching and friendship at the 33-metre pool. Mark and Zoe Philipzen took over the management of this community-owned pool four years ago. Although Zoe grew up there, her dad Phil Harris ran the pool for the 39 years before. 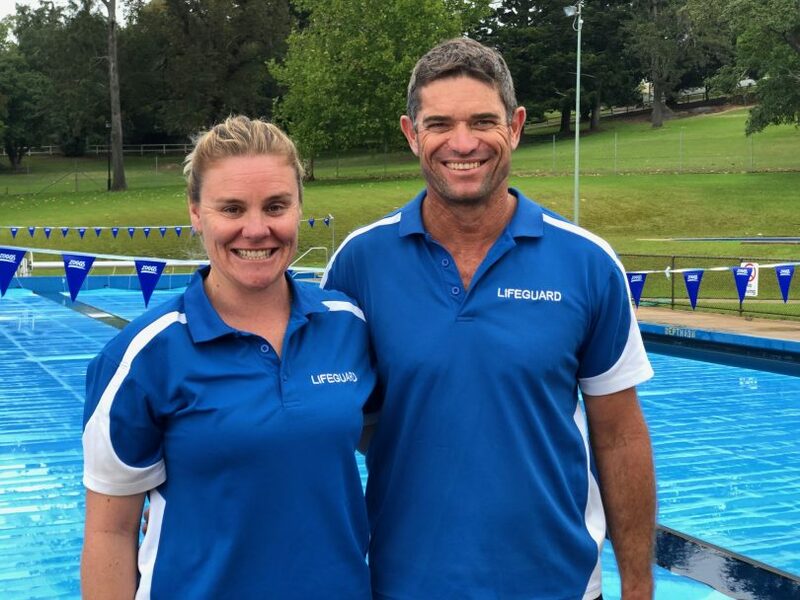 Aside from the accomplishments of the Campbell kids, the 2018/19 season is the biggest yet for Philipzen Aquatics and Bega Pool. “We had 33,000 people through to the end of February, that’s not counting March,” Mark says. “And we trained over 100 kids a week in squad,” Zoe says. Mark and Zoe Philipzen took over the management of this community-owned pool four years ago. Counting up the number of kids who took part in learn-to-swim classes this season seems an impossible task, Mark and Zoe try and explain it to me. I lose track at well over 100. “And we have two families who come from Sydney and Melbourne to get their kids taught here over the holidays every summer, they’ve been doing that for about 10 years,” Zoe says. 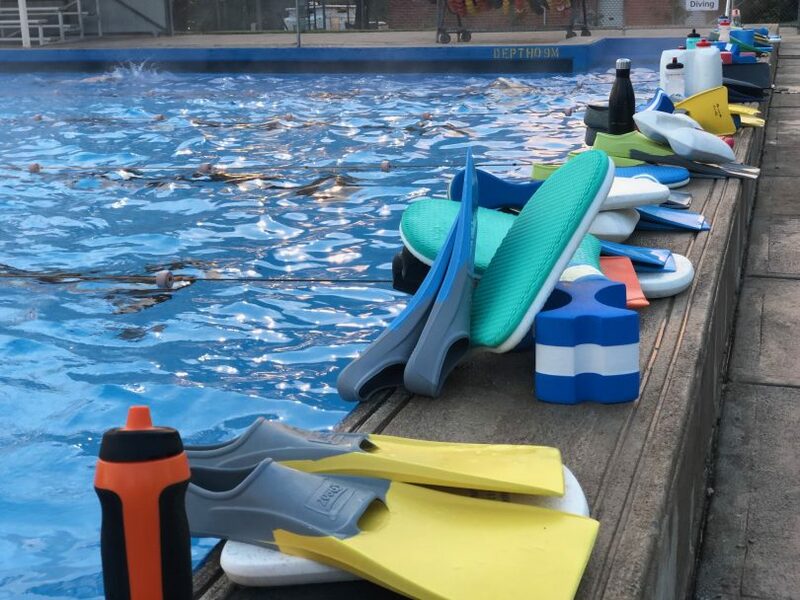 The 2018/19 season was the biggest at Bega Pool, with 33,000 people through to the end of February. Inland Bega can be the hottest place on earth during the six months of the pool season. Its deep waters are an easy sell in those conditions, but that is a small part of this season’s success. It’s Mark and Zoe and the community that forms around these five lanes that draws people in. Like her dad, Zoe has an edge of bossy school teacher about her, but she gets away with it – good humour, a big heart, and deep knowledge. Mark is everyone’s mate, a skilled swim teacher to young and old and the sort of man you are happy to have your sons look up to. Both go above and beyond for the kids and families that dive in their pool every day. “We love what we do, these are the best people, ” Mark says. “People feel like this is there second home,” Zoe says. “People feel like this is there second home,” – Zoe. 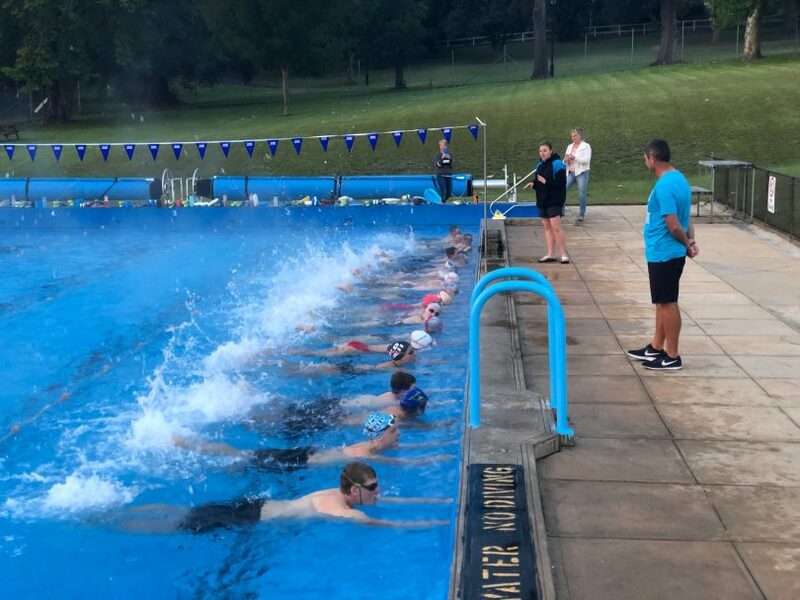 The keenest of squad swimmers meet Mark or Zoe at the pool at 6 am, usually for a session that pushes swimmers for almost 3 km. The March Challenge has just wrapped up, which saw a group of about a dozen kids swimming early every Monday to Friday. They were rewarded on the last day of the pool being open with a “pick a box” style prize presentation. Inside each box is a motley collection of things Mark and Zoe have pulled together, everything from $20 worth of 20 cent pieces for the hot showers to googles, lollies, and the real prize – a framed portrait of Mark, Zoe and their boy Henry for a bedside table in the offseason. Around all this laughing and swimming, there is a care and attention that goes beyond the lane ropes. Mark and Zoe see things in a teenagers’ life or family situation and respond with a quiet word of concern and offer of help. I am trying really hard not to use the cliqued old saying, “it takes a village…” but for those six months of each year, Mark and Zoe do just that. 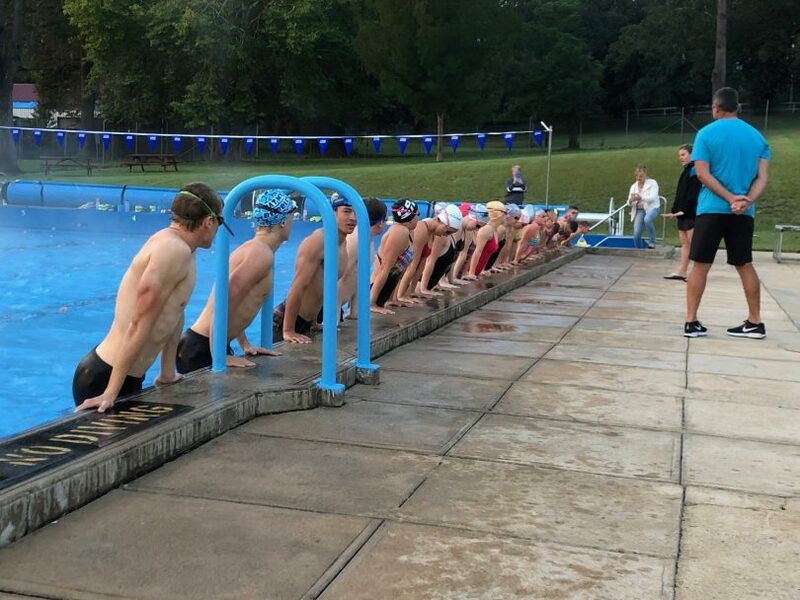 The club does get a buzz out of having swimmers advance to regional or state swimming carnivals, but “what we want is for the kids to walk out of the pool and be happy,” Zoe says. Bega Pool will reopen in September/October. Now that the pool is closed for the cold months ahead, Mark will release the plug-in Lane four and let the water he takes such pride in drain away. The Philipzens will take off for a holiday soon after to Sri Lanka, the reward for six months of each working 80-hour weeks. Preparations for the next season will follow when they return. “Henry has been so happy to come in and find us both in bed this week now that the pool is closed,” Zoe laughs. Bega Valley Shire Council have million dollar plans to redevelop the sixty-year-old facility. The consultants engaged to look at the pool’s future have recommended that the existing pool be demolished and replaced with a 25 metre x 8 lane heated indoor pool with disability access, 15 metre x 10 metre heated indoor learn-to-swim/program pool, outdoor leisure water area, plus new kiosk, club room, and change rooms. The ballpark cost is above $8.5 million. What can’t be manufactured is the human factor, what Mark and Zoe bring. “This is a community asset,” Mark says. And what he and Zoe do certainly makes it so, well beyond the fitness, relief, and skill any pool offers. Congratulations Mark & Zoe (& Henry) on an outstanding season! You both have great personalities & I’m proud to say my 3 grandsons have thoroughly enjoyed swimming club & have had a fantastic season thanks to your dedication. Enjoy your break and most of all sleep in!